NASA Exploration Vehicles - Universe Galaxies And Stars Section. 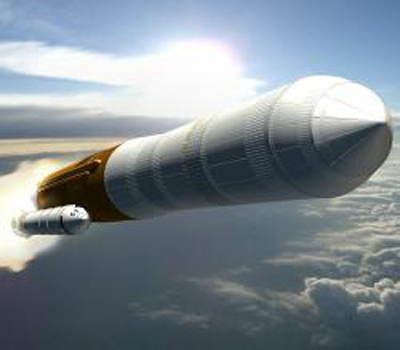 Ares V cargo launcher. Image credit: NASA. The “I and V” designations pay homage to the Apollo program's Saturn I and Saturn V rockets, the first large U.S. space vehicles conceived and developed specifically for human spaceflight.